Neighbourly Food is a new service designed to fix the logistical problem of re-distributing surplus food, especially local fresh food. The UK wastes 15 million tonnes of food per year, according to a 2014 House of Lords report – at a cost of £5bn. Neighbourly Food solves both ends of the surplus food distribution challenge. The service allows local charities, food banks and surplus recycling operations to sign up, for free, to publicise their food requirements. Businesses including retailers, supermarkets, grocers, manufacturers and food distributors are able to use the service to offer their surplus food resources, showing what’s available, its location for collection and expiry date. Neighbourly Food provides transparency to all participants so that the best possible use is made of the UK’s surplus food resources. Currently local charities and causes which need donations are often invisible to potential food donors, while businesses lack a platform through which to find causes and then to manage their contributions with orderly and efficient processes. These problems are compounded by the pressure of time, as a result of use-by dates on fresh food products. In addition to matching food donations to causes, Neighbourly Food supports the back office logistical requirements of participating businesses to help them effectively manage and report upon their successes in food re-distribution. Neighbourly Food has already been selected by Marks and Spencer to support its national surplus food redistribution scheme. The scheme will connect all its stores with local food charities and accelerate M&S towards its Plan A target of reducing food waste by 20% by 2020. 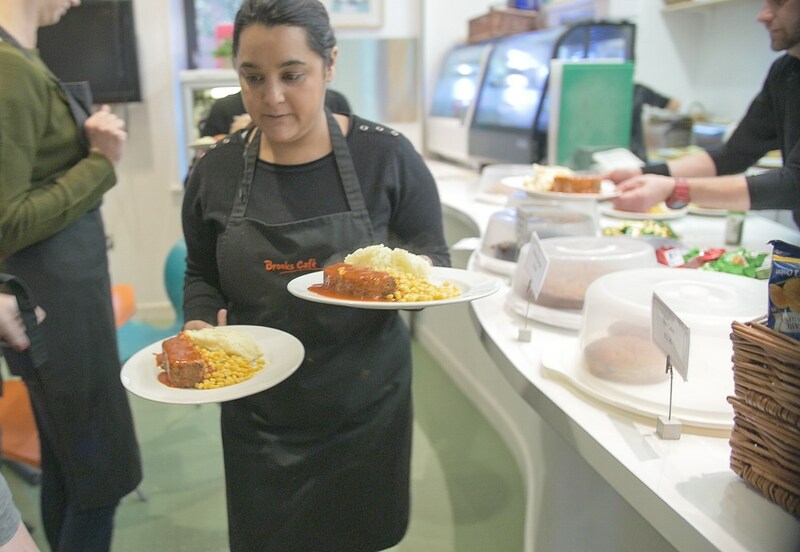 Over 160 charities are already signed up to collect surplus from their local M&S store, including the Southern Brooks Community Partnership 'Brooks Cafe' in Bristol. The cafe is a community meeting place where customers can enjoy good food at low prices. All profits from the cafe go directly back into the partnership's charity work. We're encouraging all UK charities and food banks, which might be able to benefit from surplus food re-distribution, to join the scheme by emailing food@neighbourly.com. The 'Brooks Cafe' in Bristol set up by the Southern Brooks Community Partnership is receiving surplus M&S food donations via Neighbourly.